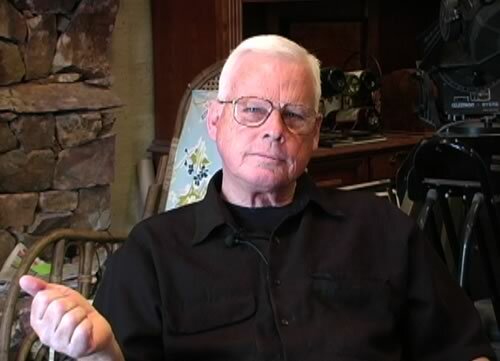 Aside from the fact that an article published on Neonnettle.com by Ron Simens states that John Lear has filed an affidavit that no planes hit the Twin Towers on 911, uses our photo of John Lear without permission… we are happy this information is now getting noticed. We had John Lear’s testimony on our well known interview back in 2008. I have copied that portion of his testimony below for those of you who haven’t seen it along with a link to the video. UPDATE: NeonNettle has now apologized and will give credit to us for use of our photo of John Lear. What the article is claiming is that, John Lear is now filing another affidavit regarding the holograms as part of the Morgan Reynolds 2007 lawsuit against several major companies. (see the testimony transcript below and go to the Camelot video on youtube at 49:40 to hear Lear’s original statement on this). “…The affidavit, dated 28th January 2014 is part of a law suit being pursued by Morgan Reynolds in the United States District Court, Southern District, New York. K: This is really dynamite stuff. K: Right, so can you take us through that? Take us through why you think that’s true. And how you got, I mean, you’re a pilot, you certainly have a vote in whether those planes had the capacity to hit those buildings, because our Henry Deacon has told us some very interesting things also about those planes. Actually, he thinks they were remote controlled. I don’t know if THAT’S true, but basically that planes don’t have the ability to actually steer in to buildings at that level, I mean, I’m not a pilot so I don’t understand the logistics. But, how did you come around to this? J: Okay, first of all we’re going to talk about… Flight 11 and 77 didn’t exist in the beginning. The Bureau of Transportation Statistics has no record of them taking off, has no, you know, so let’s forget about them because they did not exist. So now we’re just talking about [Flight] 175 and Flight 93. Flight 93 allegedly crashed in Shanksville. Anybody who has any background in accident investigation or any background at all, can’t possibly believe that an airplane crashed. There was no wreckage. It just simply could not happen. J: As far as 175 hitting the South Tower, I just recently put in a call to a Pan American Flight Simulator in Miami to see if I could rent a 767-200, which they have. And what I wanted to do was take six candidates, six candidate pilots. One current and qualified in the 767-200; one maybe qualified, but not current; and then one maybe current in a high speed jet, but not the 767; and then the last three, the same currency as the alleged hijackers, like a couple hours in an Apache, a private license, maybe a commercial, something like that. And what I would do is in the simulator, you can take them up so that New York is just like it is. I mean the buildings are there. I would take them and freeze them in a position 20 miles out at 7,000 feet, at 560 mph, put them in the seat, say, and then give them two minutes of looking at the horizons, show them where the World Trade Center is, and say, “I’m about to release you and when I do, you’ll have a minute and fifty seconds to hit dead center. Now, the World Trade Center is 220 feet wide, you got to hit to the center. Not left or right, right – to the center.” And explain how it goes, and then I would have one camera pointing at the pilot and one camera pointing at what he’s looking at. J: And then say, [snaps fingers] “GO”. And say, “Okay now, show me how easy this is”. You know, ‘cause all the guys on ATS, “Oh, I did that in flight simulator, no problem”, you know. It’s, it’s impossible. At the height of my career, as proficient as I was in every kind of airplane, there’s no way I could have done that. I mean, it’s just too complex. J: …and descend and hit that thing center. Can’t happen. No. B: I have a question here, if I may. B: We have a credible witness, who says that the planes weren’t piloted, but they were remotely controlled, like unmanned vehicles from thousands of miles away. K: I just said that. B: And he said… Yes, but I’m asking John to comment on that, from the point of view of, this also answers the question raised by the fact that no human pilot could have hit that small target. J: No airplane crashed in the World Trade Center. First of all, remote controlling an airplane that size or any size is very difficult. I don’t believe you could remote control an airplane the size of a 767-200 anyway, particularly to hit dead center of the World Trade Center. But the fact is, there was no wreckage from ANY airplane in the World Trade Center. And by “no wreckage” I mean, nothing was found of any size anywhere around. Now, there was a panel of a fuselage that you see with five window shades, but when each airplane, American Airlines in the North Tower and United Airlines in the South Tower, hit, it was two-fifths of a second while they disappeared in the airplane. So, in two-fifths of a second you’re not going to have a panel about seven feet long drift down and just be lying there in almost perfect condition, unless it was accompanied by Mohammed Atta’s passport. J: The only other thing that was found was the engine on Murray Street. And, the engine on Murray Street has been identified as either a CFM-56 – CFM stands for Snecma – OR the CF-6, which was a 767 engine, which was developed out of the CFM-56. But whichever one it was the CF6 or the CFM56, it had to be General Electric and unfortunately, or fortunately, United Airlines used strictly Pratt and Whitney. So that engine you see flying off and that engine they say is from 175, isn’t from 175, because the guys, whose job was to dump it off there you know, and a smoking, smoldering thing, dumped off the wrong engine. There were a lot of things that the perps did that were suspect here. The collapse of building number seven is just absolutely ridiculous. Nobody’s going to believe this thing just collapsed, you know, from a little fire, and about 5 o’clock, you know, they said well, let’s go ahead and do it, maybe no one will notice. So they collapsed this forty-seven story building into its footprint, and expect everybody to believe it – and of course they did. K: Okay, so they collapsed it into its footprint… but what did they use? I mean, don’t they have scalar weaponry? Can’t they just hit it? J: Yes, we do but, that particular thing was collapsed because it had controlled demolition just like the World Trade Center. J: The World Trade Center, what they did with controlled demolition is the FIRST part was to make what we call the Wile E. Coyote Cutout in the face, like an airplane crashed in it, which is absolutely, insanely ridiculous – but a lot of people believed it. And then the other thing is they had to controlled demolitions to cut each girder to 30 feet, so it would fit on Rudy Giuliani’s trucks going out of town. The World Trade Center was collapsed by a direct energy weapon, being operated from one of the outer space weapons platforms, and the reason we know is because of the size of the dust that was left of the concrete. It was approximately 80 microns, and that’s what a direct energy weapon collapses when it’s pointed down. That’s what it uses, it’s called “molecular disassociation”. I mean, it just disassociates the molecular structure of concrete and that’s why all that dust was there. There was just nothing left. J: And that’s why the basement of the World Trade Center was molten for six weeks, is because, when it finally does hit the ground, it heats it up so much. You can pour as much water as you want, it’s not going to cool off for a time. So I believe all of this was controlled by the E-4B, the Doomsday airplane, the 747 that was seen flying over the White House. I think there is the one that did the holographic projection, and they also transmitted the CGI, computer graphics, to the different TV channels, to show the airplanes allegedly crashing. That’s why we had the accidental nose out on one of the, on one of the buildings. They were the ones that sent the alleged cell phone messages, which never occurred. They did all kinds of stuff. They made probably transponder things for the different ATCs to phone. K: So you’re saying the hologram had to come out of, had to be done by a plane in the air? J: It was done by a projector. A holographic projector. K: Norm, but where else have you heard about this holographic technology? J: Ron Blackburn… you know who he is? J: [To Bill] Do you know who he is? J: Ron Blackburn was with Lockheed for 30 years. He was with the stealth program, stealth program project up at Groom Lake for 20 years. He was the one that I first heard there was aliens at the test site. Now, when I first met him 10, 15 years ago, he denied knowing everything, now he’s gotten a little bit more lax about what he says. I mean he said up at Groom Lake there was an administration building just for the aliens up there. Ron was at my birthday party here. K: [Laughs] So we need to get to this guy as well. J: He’s retired now, he’s retired. He’s very careful about what he says. J: He still has a retirement. But he came to my birthday party, and a he told us about holographic projections. He says they contain the sound, light, heat, everything, I mean everything is there. One of the people, one of the problems that people have with holographic projections… Well I saw it, it couldn’t have been. You know, like, they think of holographic projections like you see in Las Vegas or at a birthday party, you know. J: Where it’s a little dancing light like there. K: Where you can see through it. K: And, so you know it’s there. J: “Well, I saw it, couldn’t be”. You know it’s ridiculous. And then they say, “well, how would they have done the sound, they would have had to have speakers all up and down, you know, the street.” It’s too bad people, you know, they don’t really realize how far we are advanced with our technology. They were fooled, it was a scam. It was a Psy-Op. K: Okay, so who ran it? J: Basically I call them the “Nasty NASA Nazis”, in the middle of the military-industrial complex. Hoagland tells exactly who they are and how they took over, and that’s who ran it. Now, in March 31st, 2007, last year, a guy named Morgan Reynolds, if you’ve heard the name? J: Okay… he filed a suit called the Qui Tam Complaint, against these 22 companies. And we’re talking about major companies here. Science Applications, International Corporation, Applied Research, Hughes – all these companies right here are being sued, and what they’re being sued for is accepting money for providing a government agency with fraudulent information. The government agency they provided with this fraudulent information is NIST – The National Institute of Standards in Technology. NIST was asked by President Bush to determine exactly why the World Trade Center collapsed. What actually caused it to collapse. And they came up with a reason that, you know, the jet fuel and it was just so far ridiculous, that Morgan filed this suit and it’s FORTY PAGES and he outlines everything that they got wrong. And so the suit has been going along in court now. K: And you testified as to the holographic planes as part of the suit, right? J: They can’t do it. A lot of my information was taken from Aerodynamics for Naval Aviators[holds up the booklet] and I explain WHY an airplane cannot fly 500 mph at a thousand feet. It has to do with drag, and it has to do with power and it has to do with the fact that they use turbofans. It just can’t happen. So anyway the government’s and NIST’s contention is that they flew 500 mph – it didn’t happen. It couldn’t happen. So basically that’s what I explained in my suit. Now, you say why don’t many pilots come forward? Many have, there’s an organization called www.PilotsForTruth.com and I’m a member, one of the earlier members of that, and there’s a lot of people that realize that this couldn’t have possibly happened. There was no, an airplane like a Boeing 757 flying into the Pentagon. No, that didn’t happen. K: So what happened at the Pentagon? K: Yeah, I think the April Gallup story is fascinating. J: Okay, we’re talking about April Gallup. J: April Gallup was an Army Specialist, and I forget what her job was but, she was – she had a Top Secret clearance. She was sitting about 40 feet from the – where the explosion made the hole in the front of the Pentagon and she had her six-month-old son right below her desk and she thought that was odd because, usually, when she went to work, before going through security, they had to put the little kids in day care, but on that day, security said, “No, take the kid in with you”. So, she had it – she had the kid right below in his little holder there, and she says it was really strange because as she pressed the ON button for her computer, that’s when the building exploded, and she said a lot of debris came down on her and she saw the hole over there and she thought, “I got to get out of here”. So she picked up her kid, put him over her back, and went towards that opening and she got through that opening onto the grass – which is where, eventually, the triage was set up. But she said she saw no missile, saw no airplanes, smelled no fuel. There was no airplane in there. And later in the hospital she got interviewed by Army Intelligence and they asked her what she saw, and she started to say “I didn’t see anything” and they said “No, yes you did. You saw a Boeing 757 crash into there”. She says “No, no, no, I didn’t. There was nothing there”. And she’s gone through hell for the last four or five years trying to get medical care. K: It’s talking about a hologram machine. B: It refers to enemy perception management, is that right? That’s such a wonderful euphemism. Have I remembered that right? K: Okay, and when was that written, do you know? J: I think in ‘99. I’m not sure. I’ll give you an address where you can get it NOW. J: It’s not at THAT address. J: But I think it’s at Maxwell Air Force Base. K: We have to believe if that’s out in the public sector, that this is just the tip of the iceberg as far as this technology goes. B: Strategic Perception Management. Isn’t that just wonderful? B: I just think that’s so great. B: An unsophisticated enemy, like the people in the streets of New York. J: [Laughs] I was going to say that. J: And I thought, you know what – I don’t think that I’ll say that! B: Nothing personal against New York. J: Afghanistan. That’s where the pipeline is coming, they want that area. K: Okay, right, so that’s why we’re going to war with Iran, is what you’re saying. J: Yeah, we want to clear that area so we can run the pipeline down there. K: It sounds like you’re saying they’re going to use a special kind of weapon to attack there. J: Well they could use that hybrid high energy laser, you know, they got plenty of stuff they could use.